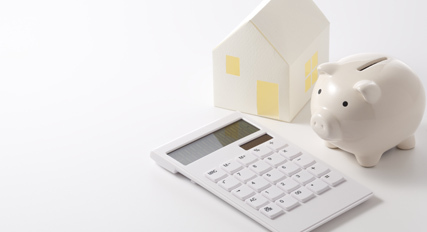 We would like to offer you a mortgage calculator and other tools, but we don’t want you to be misinformed or misguided about your financial situation. Unfortunately, generic calculators do not take into account your specific circumstances, such as if you are self-employed or receive overtime or allowances. Nor do they take into account different bank policies that impact on your borrowing capacity. They do not ask you for all the right information so the results can vary dramatically! 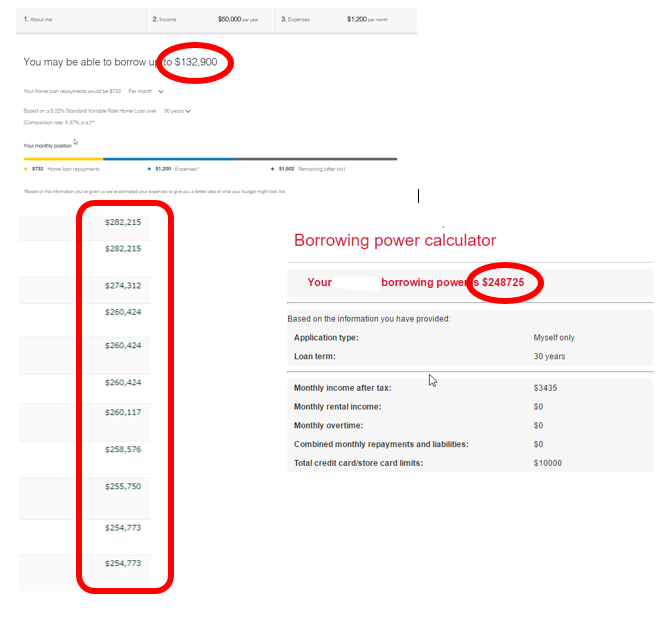 To see what we mean, check out the screenshots below… we entered exactly the same information into a few different calculators… and as you can see, the amounts each calculator claims we could borrow ranged from $132,900 to $282,215, a confusing difference of 112%! So we have decided NOT TO INCLUDE CALCULATORS on our website! We prefer to take the PERSONAL APPROACH and give you accurate results so that you can make better informed decisions.